Swapping senior midwives for junior colleagues at St George’s Hospital will put the health of Sutton mums-to-be at serious risk if St Helier Hospital’s maternity ward is closed, Mary Burstow has insisted. 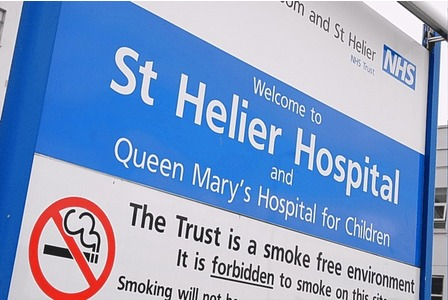 The Chair of Sutton Council’s Scrutiny Committee said the Tooting-based hospital’s plan to replace experienced staff with junior colleagues is yet another reason why St Helier’s maternity ward must stay open. She said:� “First they dream up the wrong-headed proposal of cutting services at St Helier and asking expectant mums to battle through the traffic to get to Tooting. St George’s Healthcare NHS Trust wants to replace senior Band 7 staff with cheaper Band 5 midwives after a consultation suggested that the “skill mix” was “richer than required”. But 41 senior midwives from the hospital have written to St George’s Head of Midwifery insisting that the cuts would compromise safety. They are particularly concerned about the loss of “senior frontline support” on the hospital’s ante and postnatal wards and low-risk birthing unit.